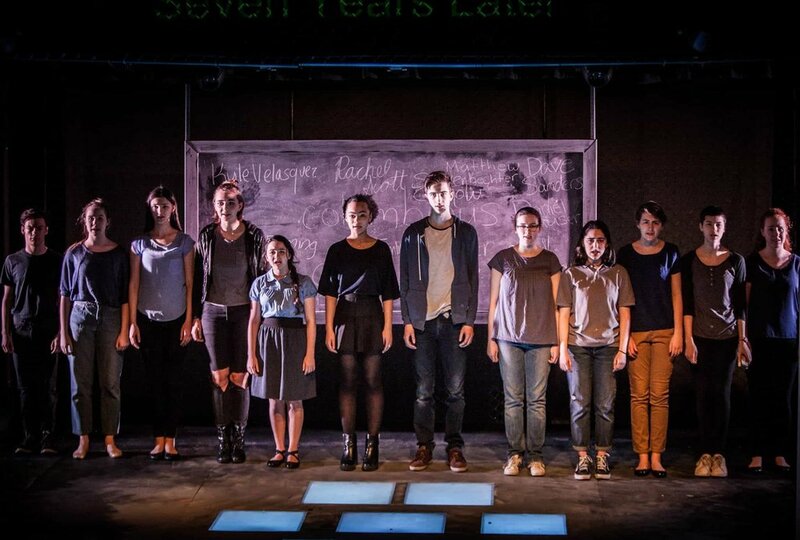 Pictures from the Theatre Department's March production of columbinus. Photos by Thomas Mohr Photography. If you missed Ben Dicke's director's note about the play, see below. Every Friday this semester, we are fortunate enough to have a stage combat instructor work with our students. He's an amazing teacher, often starting instruction with phrases like, "The more open you are, the more empathy you have, the more violent you can be onstage." Or, "Stage combat is a consent-based activity." And so, our students are literally punching one another in the face all afternoon (safely and with no contact) and it’s sanctioned by our school. I continue to read opinions on feeds and timelines from folks who feel we may need to better shelter kids from the horrifying events that face our nation. But that's not what we do here at The Chicago Academy for the Arts. Rather, we take the most challenging subjects facing our students and we confront them with art. This type of confrontation often infuses difficult topics with empathy—with movement toward openness. 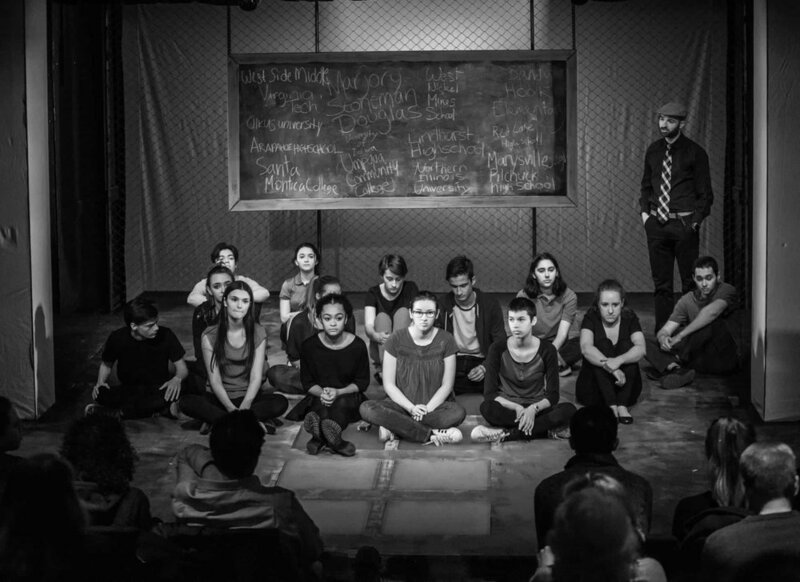 Approaching something with empathy, whether it is our stage combat class or our upcoming Spring Play, allows us to access even the most challenging issues. We know that sheltering students from the realities of the human experience will rarely prepare them for what lies beyond adolescence. This December, our department announced that we would produce a play by PJ Paparelli and Stephen Karam titled columbinus. It's a gorgeous, heartbreaking, well-researched docudrama on the lives of high school students. It also includes dramatizations of some of the events at Columbine High School on April 20, 1999. Sadly, we knew when we chose this play last fall that it was going to be relevant to current events in some way. 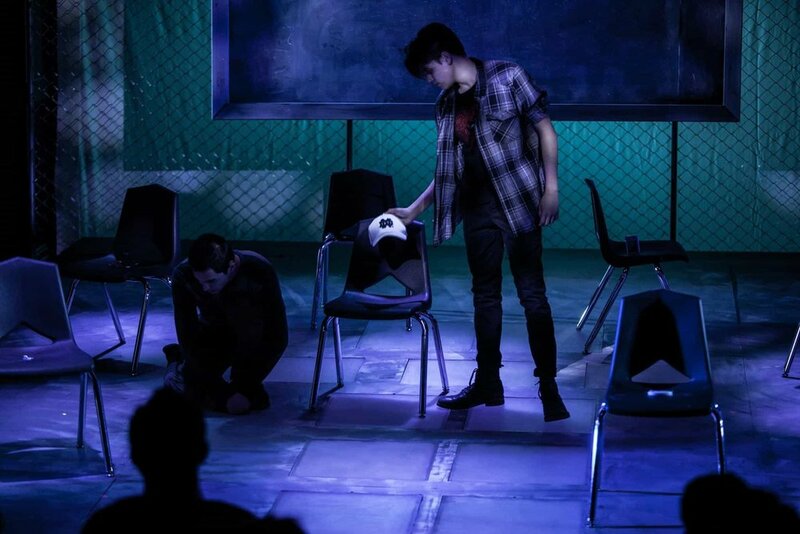 This play looks at a number of issues prevalent in American schools, like bullying, mental health, and social isolation, and adds perspective to the ongoing national debate about gun legislation. The shootings in Parkland a couple of weeks ago, as well as those in Marshall County, Kentucky, gave us pause on whether to move forward with the production. But we ultimately decided that those events, and so many similar tragedies since Columbine, are the reasons why we must do this play now. Debate will continue about how schools ought to take care of their children, but we here at The Chicago Academy for the Arts are proving, with our recitals, showings, concerts, and productions of plays like columbinus, that we are always wrestling with the human experience regardless of events outside our building.